TIME SCALE FOR STENO-TYPISTS AND STENOGRAPHERS IS IN PROCESS FAVORABLY WITH DEPUTY SECRETARY (REG:) MR JAVED IQBAL AAMIR.......... 0519245861. Khalid Bhai thanks. Please confirm, whether time scale is for stenos already in B-16 and B-14 or newly upgraded stenos.The message on forum is not clear. Raihan and Saifi bhai,AOA, what is you opinion about this news. But.... If I recall, the same position was also exist about 45 days ago. I mean, before approval of Estb. Division dated 12 Sept, 2012, we were discussing the time scale case and at that time the case was with DS (Reg) of Finance Division, and now is still with him just with a difference that now there is a approval of Establishment Division. In this situation, the DS (Reg) may be forced to avoid delaying tactics. the efforts of khalid riaz is highly appreciated on behalf of all steno community who is struggling constantly for many months. Thanks Mr.Sabir Chuhan Bahi ,and Mr.Khalid Riaz hero of this play,in my opinion, it is very good news and expected that now the time scale case will be settled very soon and Finance Division will be issued notification in this regard in the result of lengthy struggle of our Hero and his team ,before the issuing of notificaion of UFP scales led by Ishrat Hussain recommended and forwarded to the higher ups for further necessary action and for implementation wef 1st of November,2012. 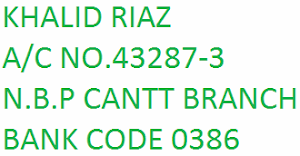 upgraded stenotypists/stenographers/ps/senior private secy main saay booth kam nain Mr.Khalid Riaz suhaib ki financial help ki hogi liaqan ziada tar nain abhi taak nainhi ki un tamam colleques say main request karta hoon kay woo apnay hero ki ziada say ziada financial help karain quinkay ham sab koo aus ki aur auski team ki lengthy struggle ki waja say yay kamyabi naseeb hoi kay ham subordinate say gazetted officer taak ponch gay hain. Assalam o Alaekum to all Colleagues. Janab Sabir Chuhan,Time Scale sirf aur sirf deprived stenos B-14,aur B-16 k lye hi hy aur yeh one time hy, yani sirf woh stenos jin ko up gradation ka benefit nhi mil ska tha ab unko benefit deny k lye hy.Aur yeh efforts Janab Khalid Riaz Sahib ki haen.M really thankful to Allah Rabbul Izzat and then Khalid Bhai. Any way agr deprived steno B-14,B-16 ko one time, time scale mil raha hy to phir yeh B-14 to B-16 aur B-16 to B-17 hi hona chahiye according to the demand of our Senior Vice President Khalid Riaz.Agr B-14 to B-15 huwa to yeh phir wohi problem hogi jo pehly hui thi k hm logon ko Selection Grade B-12 to B-15 daeny ki bajae,B-12 to B-14 dy diya gya aur 3rd category create kr di gae,jis ki waja sy ab ham kisi b category mn fit nhi ho pa rahay. Eslye one time, time scale B-14 to B-16 hi hona chahiye. ""(1)Yani ya to Selection Grade deprived stenos B-14, B-16 ko up grade kia jae Jesy dosray tamam cadres ko up grade kia giya hy, Esliye yeh discrimination khatam ki jae."" jo post aik bar upgrade hogai he or os me deprived stenos ko koi faida nahi huwa to phir govt.kis tarha or q sirf deprived stenos k lye wo post dobara upgrade kre gi? or bilfarz kr b de to jo pehle hi is se faida utha chuke hain, wo bi hmare sath (yani deprived stenos k sath) phir upgrade ho sakte hain or hamara masla wohi ka wohi reh ga.
meri proposal ye he k vision scale ya premature increment k bijaye sirf is bat pe zor dia jae k wo tmam stenotypist or stenographers jo grade 12/14 aur 15/16 me 3 yrs ya 5 yrs complete kr chuke hain ya jab bi wo complete kar le gai to wo good ACRs per, S/typist next scale-16 aur S/grapher next scale 17 me PLACEMENT k zarye chale jai gay. time scale k bijae PLACEMENT pe zor dena chahye q.k. time scale sirf aik dafa k lye milta he jab k PLACEMENT har aik khas period yani 3 sal, 5 sal k bad ACRs ki bunyad pe milta he. Senate Sectt. / N.Assembly me is ki misal mojod he jahan drivers grade 9 me or LDCs grade 11 me kam kr rehe hain sirf PLACEMENT ki waja se. LDSc abi tak LDCs hi hain promotion na hone ki waja se lakin hain grade-11 me. Asslam o Alaekum to all colleagues. Janab Rehan Sahib. With reference to your comments dated, 11-10-2012, it is clarified that 33% of Steno Typists B-12 and Stenographers B-15 were granted Selection Grade B-12 to B-14 and B-15 to B-16 in 1983. Thus the government created a 3rd category of Selection Grade Steno-typists and Stenographers in 1983. Now the matter is that the Establishment Division as well as Finance Division has up graded the posts with incumbents of steno-typists B-12 and Stenographers-B-15 but the 3rd category created in 1983, of Selection Grade Steno-typists already in B-14 and Stenographers already in B-16, has been ignored and did not up grade. Resultantly the Selection Grade Steno typists-14 and Stenographers B-16 were deprived of their right of up gradation like wise other existing steno typists B-12 and B-15. Therefore this is a solid point for up gradation of the deprived stenos. 2. The second point is that the deprived and ignored Selection Grade Steno typists-B-14 and Stenographers B-16 have rendered more than 3 years service in their existing scales B-14 and B-16. Therefore, according to the new service structure and the up gradation policy, the Selection Grade/ deprived Steno-typists B-14 and Stenographers B-16 are liable automatically to be promoted to the post of Asstt, Private Secretary B-16 and Private Secretary B-17. Yani (1) ya tw deprived stenos ko up grade kia jae B-14 to B-16 aur B-16 to B-17 jesy dosry stenos ko up grade kia gya hy B-12 to B-14 and B-15 to B-16. (2) Ya phir new service structure k mutabiq jin stenos ki B-14 aur B-16 scale maen 3 sal service ho chuki hy unko B-14 to B-16( Asstt, Private Secretary) aur B-16 to B-17(Private Secretary) promote kia jae. Q k deprived stenos ki to pehly hi more than three years service ho chuki hy. Eslye hamain promotion di jae B-14 to B-16 and B-16 to B-17. Mera khiyal hy mn ny bht koshish ki hy k apko detaile samjha dun. Phir b agr koi abham reh gya ho to please who b clear kr lejiye ga.
Mohammad Aslam Saifi suhaib aap kay detailed comments per main aap ka shukria ada karta hoon kay aap nain bilkul sahi samjh kar likha hay aur yahi hamara maqsad hay insallah jin ka pass case ponch chuka hay woo zaroor ham koo apna haq daay dain gay joo kay 2001, main aik dictator nain khazab kia thaa aik unconstitutional illegal amendment kay zaria say aur manzoor karany wali bhee unconstitutional assembly thee jis ka tazkara main bar bar apnay phelay comments main karchuka hoon aur ais par signature Fazalur Rehman nain apani NWFP Ki chief ministeri koo bachanay kay liay kia thaa yay hay asal haqaqat aur ham sab mulazameen ki haq talfi kari thee us dicator ki goad main bait kar. thanx for ur detailed clarification in reply to my comments. in fact, it is not in my knowledge that according to new service structure, the post of APS exists? if any post of APS exists, at least its good news for me.
"""" (2) Ya phir new service structure k mutabiq jin stenos ki B-14 aur B-16 scale maen 3 sal service ho chuki hy unko B-14 to B-16( Asstt, Private Secretary) aur B-16 to B-17(Private Secretary) promote kia jae."""" the word 'promotion' is disputed here. I can not understand that how a junior s/grapher (being deprived steno) can be promoted? I give u an example of my own case to clarify my instance. I joined ITAT department as Stenographer (BS-15) in January 1996 and then after applying through proper channel, joined the same post Stenographer (BS-15) in the Senate Secretariat in November 2004.
though I am Stenographer since 1996 but the seniority in my present department i.e. in Senate, is counted from the date of my joining i.e. November, 2004. According to Senate Service rules, On completion of 12 years stipulated period in same post/grade, I was PLACED in grade-16(not thru selection grade), in 2008 with same designation Stenographer. On the other hand, my colleagues in Senate who first time joined Stenographer post before me i.e. in 2003, 2002 or 2001... were in grade-15. Though, I am junior to them in seniority but in length of service, I have upper hand. Before up-gradation, I was in BPS-16 being junior and my senior were in grade-15. My seniority number is 23 out of 70 whereas there are 22 s/graphers are senior to me in Senate, who started service in 2002, 2003, or early 2004 and Senate is the first department for them to join. For PROMOTION purpose, I have never been considered for promotion to PS becoz my senior (who were in BPS-15) were there. So, I am again unable to understand that as to how can I be considered for promotion (on the plea that we are deprived s/grapher)? Time Scale is better option as it will create no no legal flaw. Mohtaram A.Raihan bhai, Jo dukh apko hy , wohi hm sb stenos ko bi hy. Actually hmara target tw hy up gradation from the date from which other up gradations have been notified and implemented. Es maen Khalid Bhai aur dosry tamam stenos ka b benefit hy. Agar hm sb ko 2001 sy, Ya- 2007 sy b up grade kia jata hy tw b hm automatically next cadre maen promote ho jaen gy. Phir hmaen kisi ki minnat samajat aur chaplusi b krny ki zrurat hi nhi rehy gi. Hm sb mil kr Khalid Bhai ko financially support kraen gy aur unko request krn gy k Khalid Bhai please, please, please Ap ab FST mn aik case aur file kraen aur back date sy up gradation ki Court sy order krwaen. Court hr hal maen yeh discrimination aur ziyadati ka azaala kry gi aur sb stenos k back date sy up gradation k orders kr dy gi jesy dosry logon k lye orders kiye hn .Jesy Asstts ny pehly B-11 sy B-14 k lye up gradation krwaee, .Phir unhon ny yeh up gradation 2009 sy krwaee, phir dobara back date sy yani 2007 sy up gradation karwaee. Aur ab unhon ny mazeed B-14 sy B-16 b ly lia hy. FST ny inki favour mae judgment b dy di hy. Ab case Establishment maen hy for implementation. .Kia hm stenos community sirf aik hi case file kr k thak gae hn? Kia hm maen itna b hausla nhi k FST maen aik aur case file kr saken. Ham sb mil kr FST mn aik case kraen gy to back date sy up gradation b ly hi laen gy inshaAllah. Any way yeh faesla ap sb ny krna hy. Yehi sb k lye bihtar hy aur benificial b. Estarha koi b deprives nhi hoga aur sb ko benefit mil jaega..
Es forum pr ham sb discussion kr rahay haen, aur ap khamosh haen? Agr koi esi bat jo hm achhi kr laen ya apko achhi lagy to please os pr ap comments dy diya kraen aur hamaen guide kr diya kraen k han yeh matter mumkin hy ya nahi.Ya yeh matter kis tarha solve hona chahiye. Yahan ham sb ap ki tawajjo k muntazir rehty hn. Ap please kuchh apny comments daen k Ap back date sy up gradation leny ka irada rakhty haen k nahi.Ap case file keny k lye agree hn ya koi masla darpesh hy? Agr financial matter hy tw hm aik weak mn hi apko apni hesiyyat k mutbiq raqam pahuncha dety hn peshawar mn hi..Please do your comments in our favour. Hey colleagues,AOA,So far as dictator tenure is concerned, he totally fed-up the employees he curtailed every facility already given to employees. If our courts condemned his tenure, they should re-instate all the facilities. But every one is killing the time in Pakistan, particularly regarding employees cases. There is an our mistake that when we put the petition before honourable cours, nothing was asked for stenos already in B-16 and 14. We remained silent that stenographers will be granted B-17 and all will covered in it. But the time of finalization on 23.12.2010, the PS was given B-18 and 19 and stenographers B-16 and stenos already in B-16 was totally ignored and not a penny was given to them. Even their pay was not fixed, in some from B-15 to B-16, where fixation comes equal they were granted one increment as compensation/benefit of upgradation. These are all disparities/ discrimination and against the fundamental human rights. But our hard luck is that our leaders are demanding time scale of those who are upgraded from 23.12.2011. If, the pay structure is introduced form Ist Nov. all the previous cases will be closed and existing stenos will not be benefited even by this. Sabir Bhai ap k shikway bja hn but kuchh btaen b sahi k aakhir krna kia chahiye, koi tajveez, koi opinon, koi es ka hal? how should be make up the matter, how can be soleved this problem? Kuchh btana pasand krn gy? kuchh tajveez dana pasand krn gy? Agr ap k mind mn koi tajveez hy to woh btaeye yeh shikway shikayaton sy kuchh nhi milta na hi kuchh milay ga. Bass efforts k lye btaeye k kia krna chahiye aur kesy krna chahiye ta k jo demand hy woh poori ho sakay. I agree with the proposals given by aslam saifi. we should wait till eid and if no order is passed, then after eid we should file our case with FST or a writ petition with islamabad high court led by our leader khalid riaz (if he agrees). In the mean time, we should organize a plan how to arrange money for fee and other charges, who & how it will be collected? I suggest that in case of grant of time scale to deprived s/typist and s/grapher to BSP-16 & 17, the nomenclature should be senior steno-typist & APS respectively. As far as the matter of not-responding to our comments from khalid riaz is concerned, in my opinion he gives comments only that time when he observes any progress in the case and accordingly inform us. I think he is positive to our case, thats why he is not looking interested to further go into litigation. Its my personal opinion and pray its true. I have one question from my all honourable colleagues. why are you fighting only one time "TIME SCALE"
lakin haqeqat yahi hi ke ...Federal Govt ka teachers ka time scale ke tar agr ho jayin gay tu ham sab kay baut acha ho jay ga..
Dear brothers,AOA. Zulfiqar Awan bhai, truth is always bitter,do not be apologetic,your proposal is appreciable. Aslam Saifi bhai you are right, the case of deprived stenos must be clear first then time scale be claimed. Like this deprived stenos will be able to get benefit as in previous case. 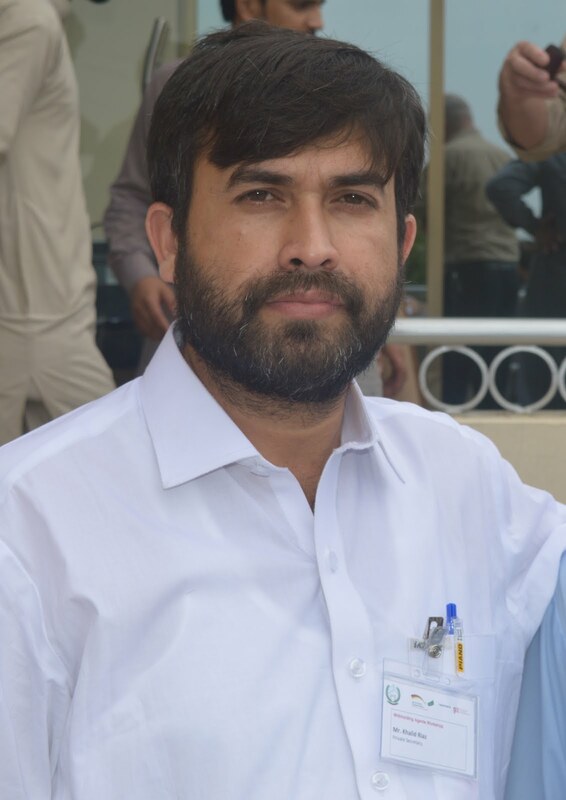 So far as Khalid bhai is concerned, keep in mind his position leader always comes when the meetings becomes on peak.Let us all request to Khalid bhai to fight the deprvied case separate and on top priority bases.Because such senior peoples have less services and have been retired or being retired. Thanks to all of you for touching the forum and hope for so in future. Dear brothers, Zulfiqar and Sabir,Thanks for comments.Time Scale for ever k lye to hm sb ko aik hona parry ga aur FST mn case b file krna parry ga. Es k lye ap log aik planning bana len aur phir Khalid Bhai ko request krn k woh hmari sarprasti kraen. Shyd hm apny maqsad mn kamyab ho hi jae aur aenda aany wali naslaen b hm sab ko achhy alfaz mn yad kren es maen filhal hm sb ka hi bhala hy. Finance Division ki proposal restoration of Selection Scale Scheme ha. Aur agar wo nahi tu phir (Grant of Time scale to all the employees working in B-1 to B-16 After putting 10 satisfactory service). Ma koshish kar raha hoon ke time ko kam karwa sakoon. Meri Demand 3 years ha. Agar time scale approve hota ha tu deprived stenos ko sub se phele mile ga. kiyon k unke already 10 years se ziyada service ha BPS-16 ma. Thanks colleagues. Ma-shallah,be unite, in contact and try to finish the confusions if created during change of comments each other, I hope the great Allah will help and guide us. Proposal of Dear Aslam Saifi and Zulfiquar are maintainable. Khalid bhai has been seen with a TV angar (anker),if we put our cases before Govt. through media it will be more effective and implementable in short time.Khaid bhai thanks your appearance on forum. good news from u. May Almighty Allah shower His blessing upon u all the time. please correct spell of ALLAH TA'AALAH OR ALMIGHTY. "ALA" IS NOT TRUE BUT "ALLAH"
me is regular viewer of the site now Ist time come with all of you? Thanks to all participating in this forum to comments and to update all of us. Respected Khalid Riaz, M thankful for ur comments and good news. 1. Whether the time scale will be granted for one time only? Or will be continued? It is added that according to the judgment of Supreme Court, the Selection Scale and up gradation is a tantamount to a Promotion and is liable to be granted premature increment. Hence, in the light of above orders, the Selection Scale must be granted to the incumbent to a Next Higher Post / Feeding Cadre by treating a promotion of incumbent to the next higher post, not to a next pay scale. Whenever u does visit to Finance Division, please keep it in mind that Selection Scale must be granted just like promotion to the Next Higher Post not to the next pay scale. Sorry please,the word "views" be replaced with the word "viewers". Dear brothers,Assalam o Alaekum, you know on 15th instance the case was placed on the table of DS in Finance Division, which needs only initial,this is their interest in regards to this case. Saifi bhai what out your suggestion for court case, the only way to benefit for deprived stenos. Now, if Govt.give some benefit that will be for in service, but our colleagues who have been retired after 23.12.2011 will not be benefit hence,the benefit of upgradation be first extended for deprived stenos.Otherwise they will remained on the stage as prior to 23.12.2011. Alphabetic S may be added in my name and read Sabir Chauhan Lahore and thinks. Dear Sabir Bhai, AP k valuable comments ki maen hamesha qadar krta hun. Ap k khadshat apni jaga pr haen, but agr hamara case 15th instant tak D.S (Reg) Fin. Dn. ki table per tha to mera khiyal hy ab initial b ho hi jaen gy inshaAllah. Lehazar kuchh dair mazeed intizaar kr lena chahiye. Mazeed yeh k sb ko judgment k mutabiq 23-12-2011 sy hi benefit mily ga. Jo b steno after 23-12-2011 retire ho chukay haen, un sab ki pension aur commutation revise hogi aur unko arrear b milay ga.. This is a fact. Because hmaray department Pakistan Post Office maen who tamam Assistants aur UDCs Jo retire ho chukay thy, unki pension aur commutation revise ho chuki hy aur who apna arrear b hm sy lay chukay hn. Ap be-fikar ho jaen, Jo b benefit milay ga who sb ko 23-12-2011 sy hi milay ga aur retired persons ki pension aur commutation revise hogi aur arrear b milay ga. Es k ilawa yeh dekhna hoga k Jo benefit hamaen milay ga woh hmari haq talfi to nhi? agr woh hmari demand k khilaf huwa to hm sb mil kr phir case kraen gy aur Khalid bhai ko apna head bnaen gy, jo hmaen guide krn gy. Filhal thorra sa mazeed intizar kr lety hn k shyd who missal drust sabit ho jae k, “Dair ayad drust ayad “. Any way ap continuously es forum pr nazar rakhain aur hm sb ki Rahnumaee krty rahaen. I shall ever b thankful.